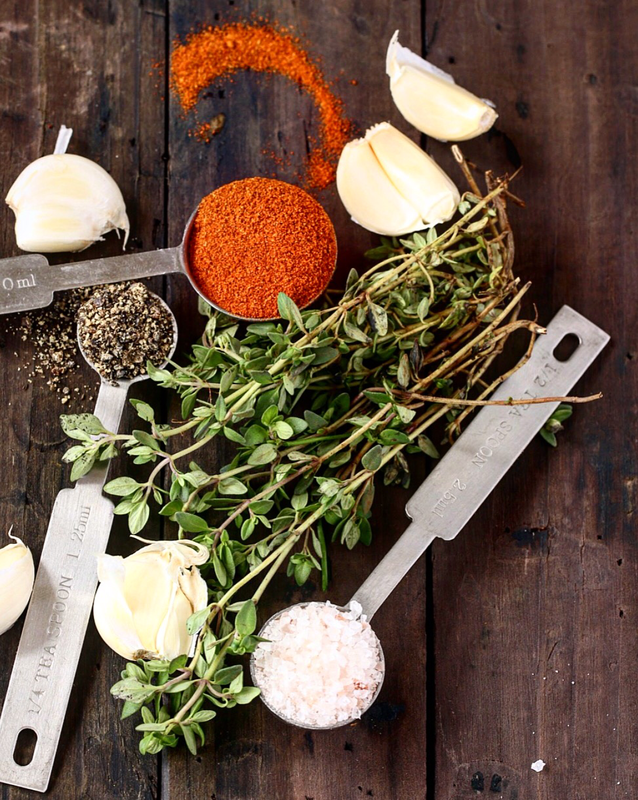 This is a simple to prepare side that takes little time to prepare and tastes amazingly good. 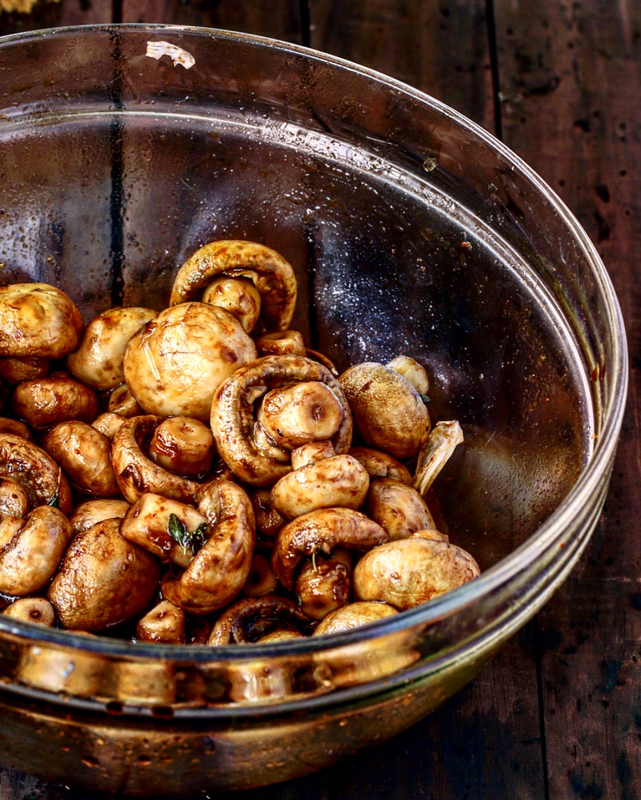 Growing up,I remember picking up mushrooms by the roadside or in the farm next to the cow shed where the fat ones grew,and roasting them over an open fire as dinner was cooking.That to me remains the best way to enjoy mushrooms and I am yet to have some that can even come close to them,there was no washing just season it with salt and into the fire it went,I miss those days and my childhood will always be the best years of my life. 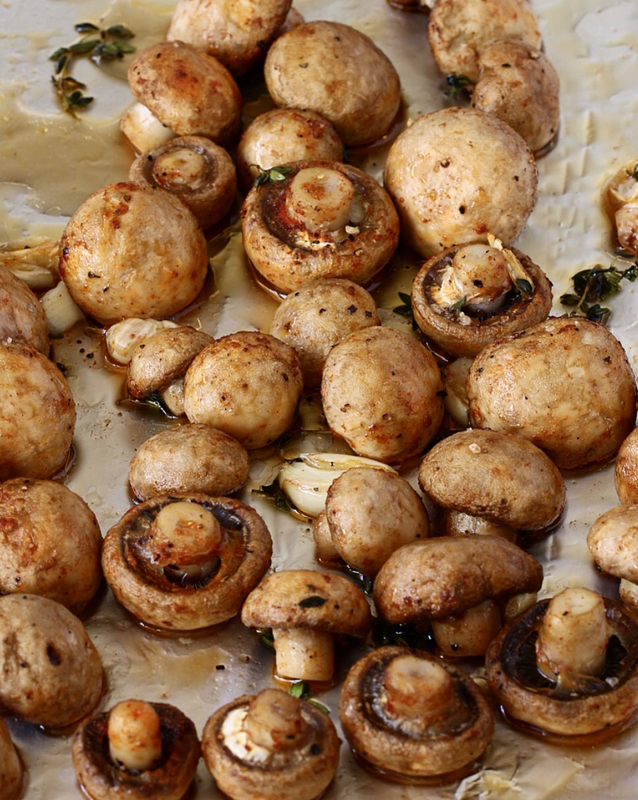 Years passed and as I grew up I came to find they are other ways and techniques of preparing mushrooms,I have tried a few and this my Honey Balsamic mushrooms are my favourite,I went through a whole plate and still was left craving for more. 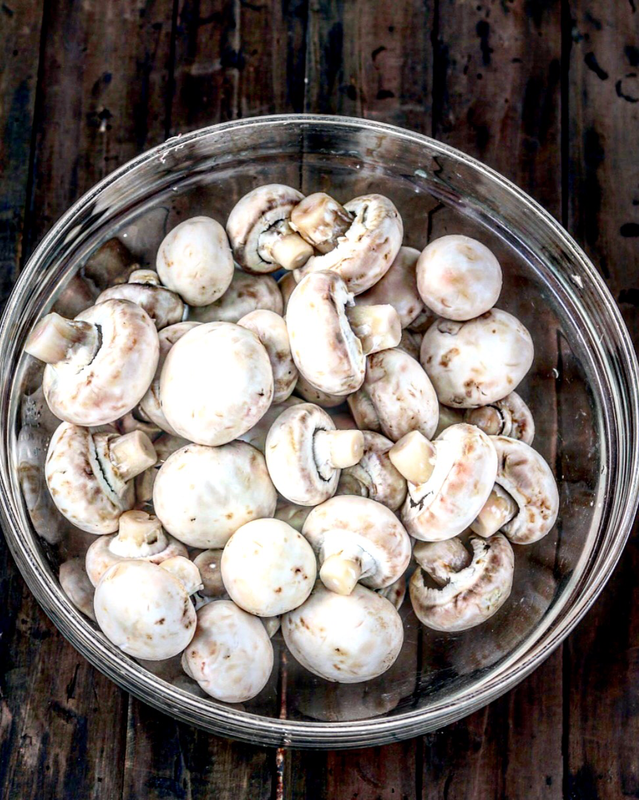 Mashrooms contain a lot of moisture and I have been trying out this recipe for some time and every time the moisture from the roasting mashrooms washed away all the seasoning and I was left with soggy mushrooms in a puddle of seasoned water. 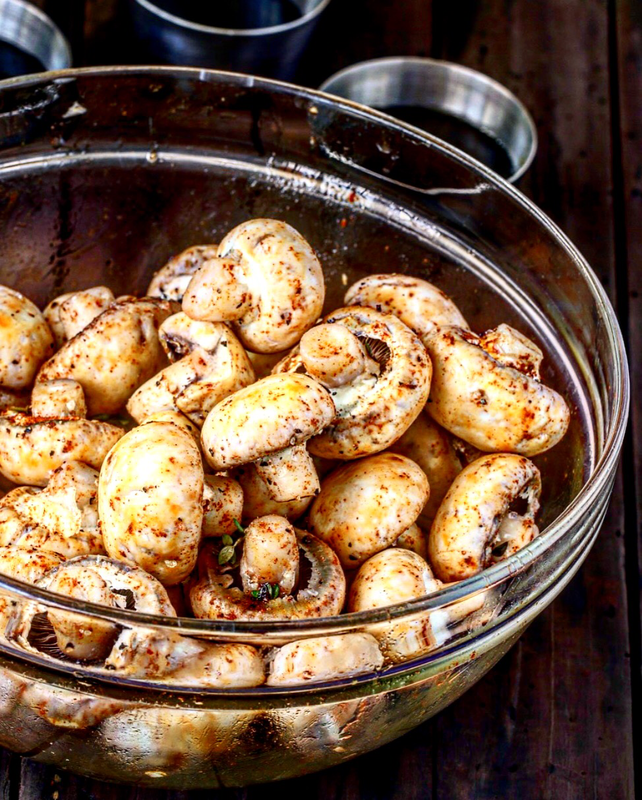 This mashrooms will be the perfect side for your roasts,be it beef,pork or chicken.This simple yet delicious side will be a hit on the table.Also make this and use them as condiments in your burgers and sandwiches,thank me later. 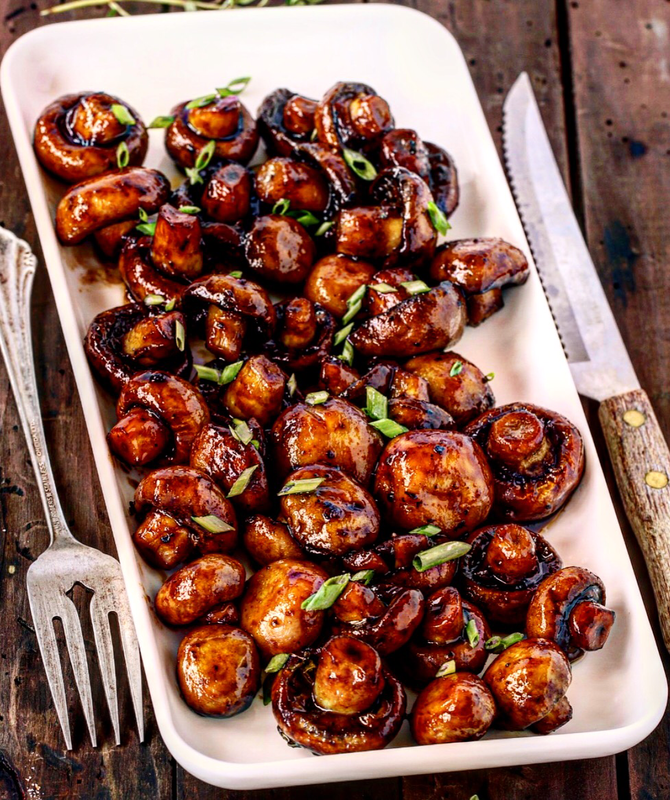 I love sautéed mashrooms but I will have this any day over them,the honey and balsamic glaze on them does wonders to the humble mushrooms. I threw in a few sprigs of thyme for fragrance and it went a long way in aromatising this dish. 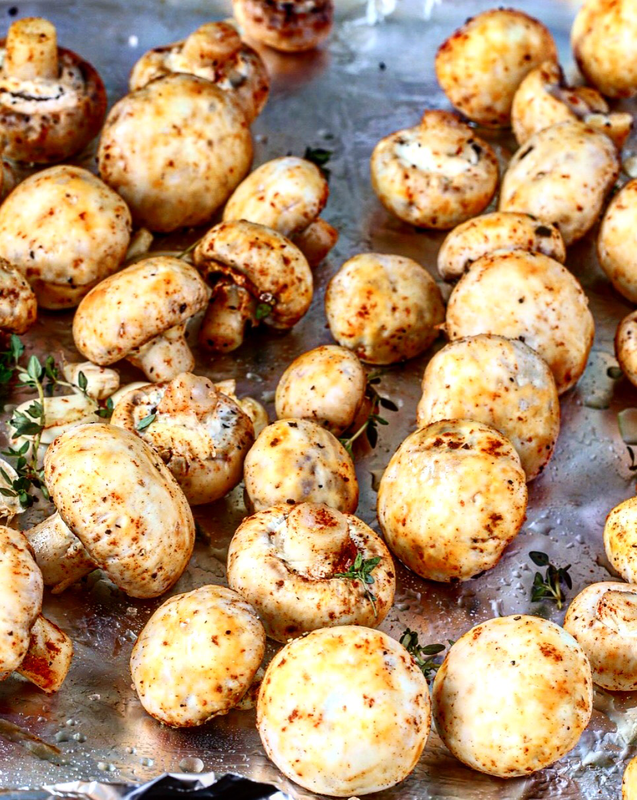 So next time you are looking for a simple yet delicious side,be sure to check out my honey balsamic roasted mashrooms,simple but packed with flavor. Take this back into the oven and roast for another 10 minutes until the mushrooms have been glazed by the balsamic honey mixture and have turned dark and shiny.